Pansies are one of my favorite flowers. 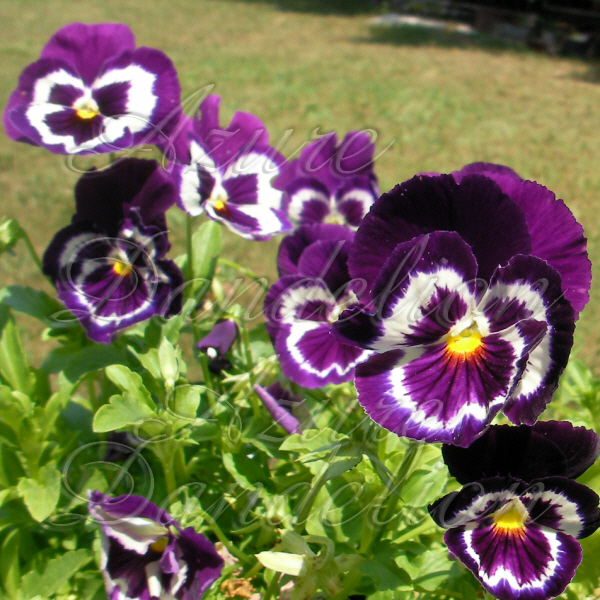 Angel Face Pansy grow from 8″ to 12″ tall and are very space efficient making them great for containers and borders. 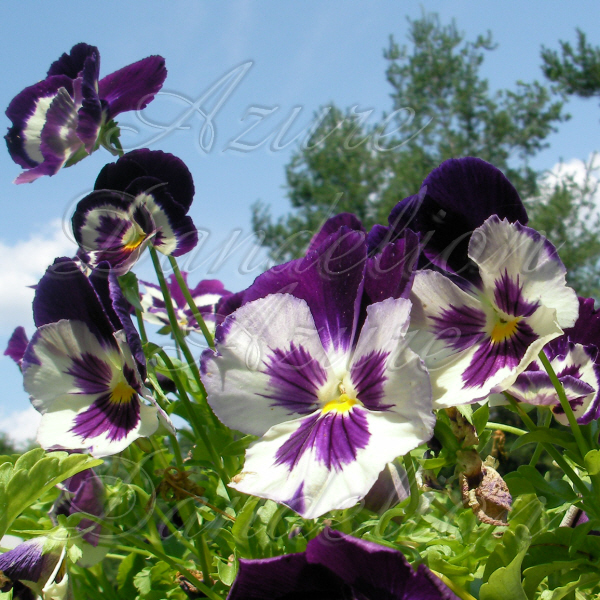 Angle face pansy feature purple and white velvety petals with a little yellow center. 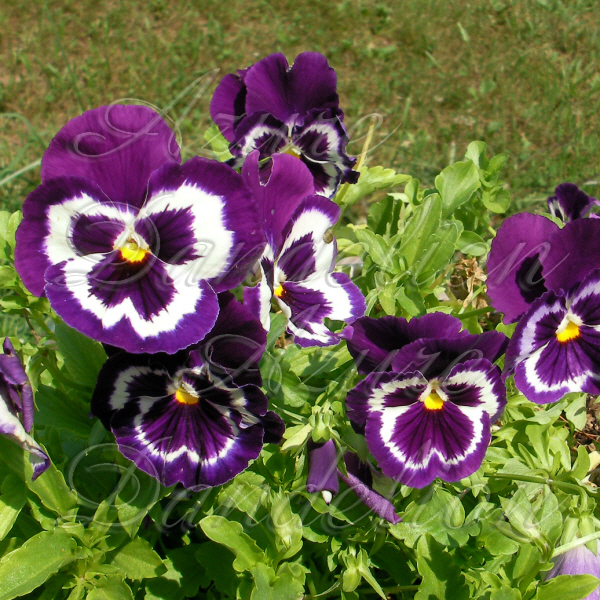 Fun fact: The pansy is the symbol of Free thought. Don’t you just love how pansies look up at you.